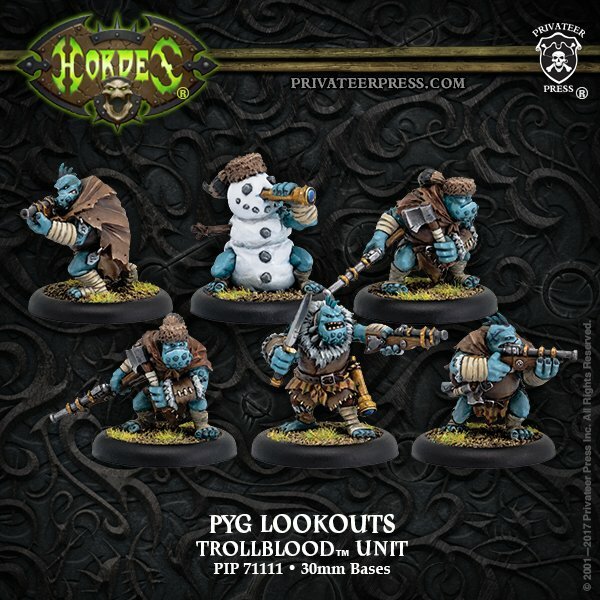 The all new Pyg Lookouts are here for trollbloods. This unit is try to make those troll guns a little more accurate. Trolls do have some dirty guns like scattergunners and the battlewagon and this new unit means to get them hitting the bull’s-eye. If you are familiar with Cygnar Rangers then you have a good idea what this unit will be doing on the field. They cost 7 or 10 points for the little accuracy pumping trolls. 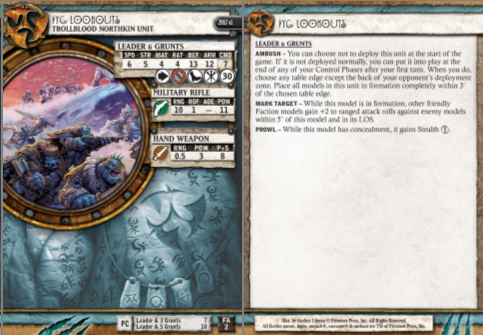 The lookouts are loaded with useful rules from Advance deploy and Ambush that will get them in deep in enemy lines fast. To Pathfinder and and Prowl for moving safely through terrain. However, similar to cygnar rangers the bread and butter of the unit is the rule Mark Target. This gives +2 to ranged attack rolls for all your trolls that are shooting at that model within 5″ of the Pyg Lookout. These guys don’t hit that hard in melee so you will want to avoid it. They pack in ok punch with POW 11 rifles but, with only RAT4 they will need another member of the unit marking target if they have any hope of hitting. What Is A Good List for Pyg Lookouts? This list heavily relies on shooting to get the job down. Combined with Horgles feat anything on fire will get brutalized everytime it gets hit. The Py Lookouts boost the scattergunners and highwaymen to a respectable RAT so they can hit on average. Bombers might not even have to boost with Mark Target working on it’s target. What Do I Think Of Pyg Lookouts? Here at BOLS we think these new Pyg’s can push troll guns to the point of relevance. 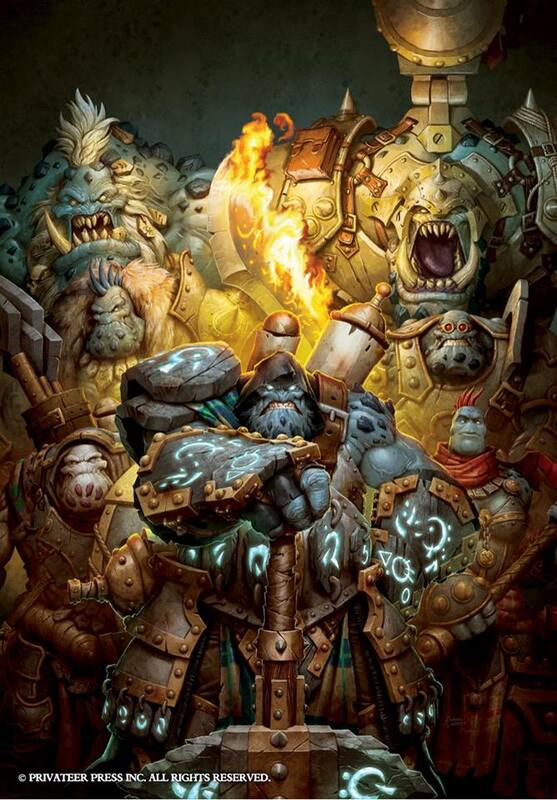 This is a copy of cygnar rangers troll style but, trolls having been stealing cygnar stuff for years in the fluff. What do you think of Pyg Lookouts? Please share in the comments below.